I know you will want to keep your right to own the Avali species for you are the creator, but Can I own all rights of full on ownership of the Avali species, Illuminate, and lore for use of my own purposes basically revoking your ownership of it. Please, and goodbye. I will accept a no for an answer if that may be the case. Nobody who put this much work into a passion-project like creating an entire species, their lore, their technology, their culture, and even going in-depth in their biology, would just randomly give literally all of it up to a random stranger who asked. Honestly, if I were him I would consider even the question to be a massive insult. Jusey1, Setsy and Bob Troper like this. I got an honest response and plus I knew he would probably say no or something but hey I just wanted to try it out. but I do agree with your reasoning for why he should say no. Sorry Ryuu, bye. Sry for doublepost. >.< will not happen again. Are you the original Creator of the Avali(The owner of the Trademark)? - Do you maybe know who created the Avali? - Would you grand me the permission to use the Avali for my game(There will be an entry in the Credits of course)? He is the original creator, yes. They originated from a Spore mod he made. I'd say try to contact him elsewhere, as he hasn't been on these forums since mid 2017. Hey. I bought the Second Life Avali avatar. That was before I knew what Eli did to you. I almost regret that purchase. I'd like to give you a royalty on it. What'll you take, and where do I send it? Thank you for existing. I am obsessed with these adorable space floofs. I know these are sapient people, but they are still absolutely plushie-worthy. I want to sleep under a pile of Avali plushies. What happen? With the SL avi? I bought one too and If it was stolen or something then I'm not gonna feel to good about that. I don't know. I jumped to conclusions, I feel like an idiot, I've probably made a couple enemies with this post. 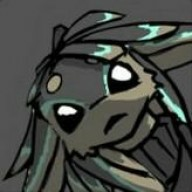 If ya ever get back, I'd like to ask some questions about the Avali that the wiki nor do your past posts answer... plus I have an entire made up language that will never get used so maybe the Avali could use some of it or a edited version of said made up language? Hey! I was wondering where I could find a diagram of an Avalon gun. I'm planning on making a prop of one, and it would be super helpful if I could find one. come back and gives a sign! He is in the States right now. Firebird Zoom and MrToni300 like this. Hm. I enjoy thinking of scientific theories on your creation, the Avali. I appreciate your effort in creating a truly distinct race. So scince I have trouble with downloading mods I always use the steam workshop. I heard about this mod quite recenelty and I heard that the orginal was outdated and your rebooting it.I found out that someone used the files to put it on the workshop and make it 1.0 compatible. Does the mod contain the same content? Is it offical? and are you planning on putting it on the workshop? Your work is much appreciated, sir. You'd still be a pretty major life influence to me even if I were to take away only your creation of the canon Avali (mod excluded, rather). Relten and Firebird Zoom like this.